Does your play structure work for your family? Are the features too difficult for your children to access? Or perhaps they've outgrown your existing play structure, and it's time for something that's a better fit for their abilities. Why a Custom Play Structure? A big-box store's mass-produced playground may look great at first glance, but many of the problems don't show up until after you've made the purchase. Many mass-produced play structures consist of 1x2 and 2x4 construction, can't accommodate bigger kids and adults and are not customizable. You know the needs of your family, and a customizable outdoor play structure allows you to accommodate their specific abilities. A play structure can even be designed to assist special needs children, making it inclusive for children of all ages and abilities. Here's how a custom play structure from Idaho Outdoor Solutions surpasses a big-box produced playset every time. Customized construction —Why settle for a prepackaged play structure when you can have a customized set designed with and for you by our design specialists? Even with uneven ground, Idaho Outdoor Solutions can create a play structure to meet your requirements. Focus on play —Your play structure can be designed for a wide age span (kids, mom and dad, and grandma and grandpa, too! 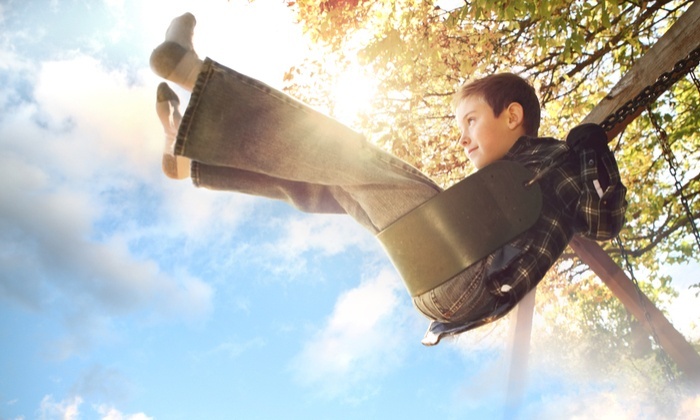 ), focusing on imaginary play, climbing, swinging, or a combination of all three. Sturdier construction —With 4x4 and 4x6 construction, your new play structure is made to last. Our lifetime replacement parts and warranty back up our claims. At Idaho Outdoor Solutions, our playground design specialists can help you choose from hundreds of configurations to meet your family's needs. Every play structure in our line-up is fully customizable, and we offer professional installation at your site. Contact us to get started designed your family's new outdoor play structure today!